Seems like a storm is brewing in the other down under of New Zealand. A region famed for its bright, citrusy Sauvignon Blancs is having a bit of a scandal more associated with Robert Parker and the Bordeaux Boys. 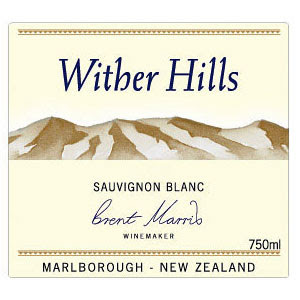 According to a number of kiwi news sources, it seems that the 2006 Wither Hills Sauvignon Blanc has been accused of sending bottles to both Cuisine Magazine and the New Zealand International Wine Show that are different than the ones on store shelves. Uh-Oh! The winemaker responded by....agreeing. "It was very difficult to produce every bottle exactly the same when the winery was producing 100,000 cases of Sauvignon Blanc," the winemaker has been quoted as saying. The former five star wine has been given the axe by Cuisine and has been stripped of the coveted gold medal it won in New Zealand's biggest wine show. The wine show coordinators followed up with a chemical analysis who were quoted by the New Zealand Herald as saying, "Both wines were sent for testing at the Institute of Environmental Science and Research, which found they had different levels of alcohol, acidity and sugar and were described by a senior scientist as "completely different wines". Right now we are on the fence. But you know what they say... bad press is better than no press. I beilive in their philosophy and its product.